Clinical research to inform the evidence base to guide nonobstetrical care during pregnancy is critically important for the well-being of women and their future offspring. Conversations about regulations for such research, including whether paternal consent should ever be required, should be informed by the perspectives of those most affected, namely, pregnant women. We conducted in-depth interviews with 140 pregnant women living with or at risk of HIV—70 in Malawi, 70 in the United States—exploring their views on requiring paternal consent for pregnant women’s participation in trials offering the prospect of direct benefit solely to the fetus. The majority of women supported such a requirement; others raised concerns. 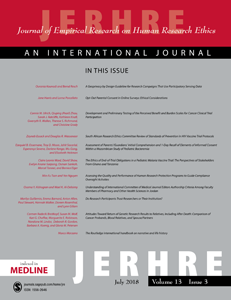 A trio of themes—the father’s or pregnant woman’s rights, fetal protection, and gender/relationship dynamics—characterized views both supporting and against a paternal consent requirement, expanding the range of considerations that should inform approaches to paternal involvement in research with pregnant women.